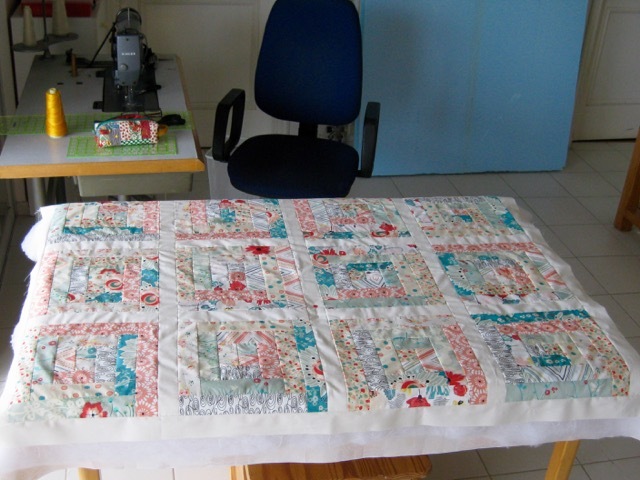 Today I am preparing my Log Cabin baby quilt for hand quilting. It is a part of the quilting process that many quilters don't like very much, but which I enjoy as much as all the different stages of quilting. 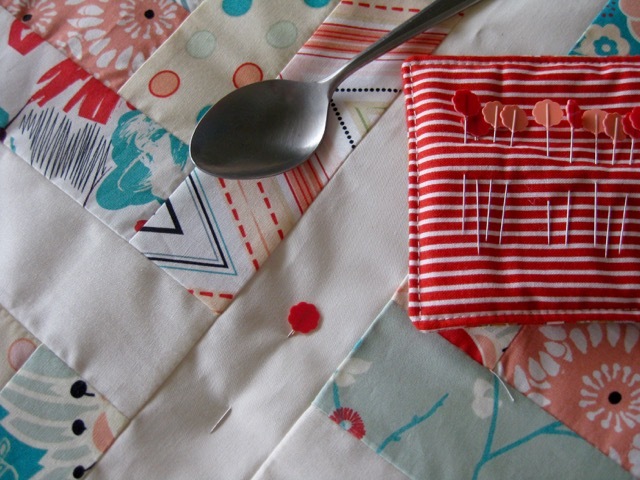 You can find the method I use in MY TUTORIAL, where you will understand the reason of the spoon on the quilt. I'll look forward to seeing this one quilted! Some baby's mama is going to be over the moon, Christine. This quilt is gorgeous. Every time i look at your blog i see something beautiful !